I’m so excited to introduce this next LivePlan customer “Success Story” not only because he has over 30 years’ experience as a successful entrepreneur and works today both as the owner of a small business and as a volunteer SCORE mentor, but also because he is a genuinely great guy and I really enjoyed getting the opportunity to speak with him and hear his thoughts on entrepreneurship in person. Next best thing? Reading the interview. 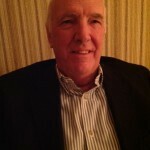 So without further ado, please enjoy this Q&A with Don Wall, founder of Connecticut HVAC company, Donwall Corp. (today a consulting entity) and SCORE mentor. Don is kind enough to share his story, including how he wrote his first business plan back in 1979, and how LivePlan helps him mentor entrepreneurs today as they work to launch and grow their businesses. You have over 30 years of experience as an entrepreneur and you’re a SCORE mentor, so I’d call you a startup expert. Tell us a little about your entrepreneurial history and about your HVAC company, The Donwall Corp.
Ha. That was a different time. And I don’t know that I even agree with that statistic. They’re not necessarily failures, but I suppose the statistic is still relatively true. I had the advantage of being in the HVAC business before I started my corporation. In 1979, I was faced with buying the business I worked for or starting my own business. So I opted to start a new business and we had a very successful run. In 2000 the consolidation phase of a lot of industries started and I sold the company in March of 2000 to a consolidator who purchased a number of HVAC companies. Unfortunately, in January of 2005 that whole company went bust. Kind of a sad ending, if you will. Then, in 2006 or 2007 I searched and found that the original name was available. Today I use it as a consulting entity (rather than in business mode). An entrepreneurial spirit? I think so. Yes, I’d say it’s in my blood. I delivered newspapers at 10 years old. Later, when I was going to college and working part time I was fortunate enough, after graduating, to start working with Carrier International in New York City. By early ’68 I was living and working in Tokyo and when I came back to the States in 1973 it was with the intent to purchase a company or start one up. What advice do you have for entrepreneurs today starting their own business? There’s no excuse not to do some rudimentary planning before you commit. This doesn’t have to cost a lot of money. SCORE counseling is free. When I started my business I was 35 and I’d already been in the HVAC industry for 10 years. I knew my business. I knew heating and a/c but I didn’t know anything about how to start or run a business But when I set about writing my plan I wanted to do it once and I wanted to do it right. I think that ensured my success. A first time entrepreneur might have experience in the industry, or they might not. But if they don’t have experience running or starting a business then they’re going to need to do some homework and do some planning in order to ensure their success. As a SCORE mentor, what are some of the avoidable mistakes you see people making? One of the very sad things we experience as SCORE counselors is the number of people who come to us who’ve already committed significant dollars to an enterprise without any planning. Lack of planning will more often than not result in failure. It’s a shame. Very honestly, sometimes planning shows you that your business idea is not going to work which may result in failure. But better to have the foresight to not pursue a faulty concept than sink your money into an idea that’s bound to fail. A business plan is a tool that lets you test the waters. The result of the plan might be, simply, don’t do it. Or it might alert you that you need to reassess your business model or somehow change direction. How has writing a business plan been valuable for your company and/or as a SCORE mentor? Most recently, with the consultancy, I’ve used the LivePlan product to brainstorm with two individuals I’ve worked with in the construction industry. One is a mechanical equipment supplier who I worked with on writing a business plan. Simultaneously I was also talking to a general contractor who, because of the very soft market, was interested in looking at possible HVAC company acquisitions and we needed to put a plan together. Regarding your product LivePlan, I just have to say that it’s terrific. I talk about Bplans.com and LivePlan in my SCORE work all the time. I haven’t found anything better, frankly. I think the LivePlan tutorial for people who are not familiar with business plan writing is incredibly useful. In fact, the third plan I have in my LivePlan account was written by a guy I was helping to write a business plan. He wanted to start up a business center. He was really appreciative of the opportunity to jump on there and be guided through the process. Thank you so much, Don, for taking the time to speak so candidly with us about your experience as an entrepreneur and for sharing your wisdom!